Valmiki Jayanti is a famous festival of Hindus. 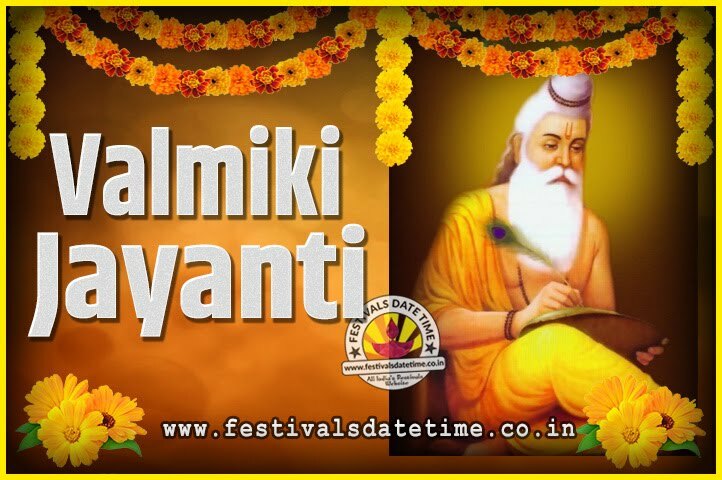 Valmiki Jayanti marks the birth anniversary of the great author Maharishi Valmiki. He was the first poet who wrote the epic story “Ramayana” and he was one of the great saints in ancient times. Valmiki Jayanti falls on the full moon day in the month of Ashwin according to Hindu Calendar. Valmiki Jayanti is celebrated widely in North India especially Rajasthan and is known as pragat diwas. On this day People also decorate Maharishi Valmiki’s temples with flowers and light the temples. The whole atmosphere gets filled with purity and happiness.